Ohio Birds and Biodiversity: Bohemian Waxwing! A trio of Cedar Waxwings, Bombycilla cedrorum, silky and dapper, pauses from plundering an ornamental crabapple. I made this image almost exactly four years ago in Wyandot County. Then, as would be the case now, I was excited to see these animals and lingered to admire them. To me at least, just about all birds are worthy of admiration, but waxwings require an extra glance. They are avian Clark Gables: sophisticated, impeccably tailored, unflappable and refined. A waxwing is the model sashaying down the runway; chickadees, robins, and jays are merely coarse and ill-mannered louts shouting and gawking from the seats below. The family Bombycillidae is a small one: it represents just .0003 of the world’s birds. Pictured above, courtesy WikiCommons, is the Japanese Waxwing, Bombycilla japonicum, one of only three waxwing species on the globe and the one least familiar to North American birders. This eastern Asian species gives up nothing in the looks department to its American counterparts. And finally, the third species in the waxwing trio, the robust and showy Bohemian Waxwing, Bombycilla garrulus. In this part of the world, the appearance of Bohemian Waxwings always causes a stir. They’re rare – quite rare – here, and their appearances are utterly unpredictable in any given locale. Thus it was a momentous occasion last Saturday when a group of Columbus birders stumbled into a flock of eleven BoWax pilfering fruit from a crabapple tree at Maumee Bay State Park. Word soon spread and before long many other birders were basking in the presence of the regal waxwings. Dane Adams, who has kindly shared many of his excellent photos with this blog, made the scene and provided this beautiful image. A Bohemian Waxwing is like a majorly gussied up Cedar Waxwing. If your firsthand familiarity of the waxwing tribe extends only to the latter, get ready to pick your jaw up off the sod when you first encounter a BoWax in living color. They’re jumbos; a classic example of Bergmann’s Rule. A plump Cedar X-wing might tip the scales at 32 grams; BoWax are honking big in comparison, like nearly 60 grams big. That’s like comparing Richard Simmons to Arnold Schwarzenegger. The artists also worked overtime when painting the Bohemians. 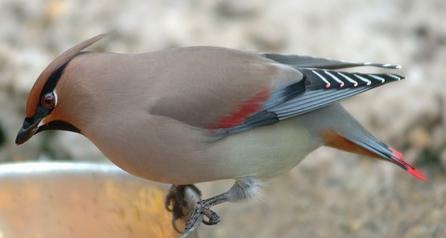 True, Cedar Waxwings have those cool little red waxy nubs on their wing feathers. So do the BoWax, but their wing adornments also include bold white and yellow brushstrokes. The undertail coverts are a luscious shade of cinnamon-brown, and the forehead and cheeks are tinted in the same reddish-brown hue, making the bird look as if it is blushing. The bird in Dane’s photo is an adult; the extent of yellow on the tail and coloration in the wings increases with age. 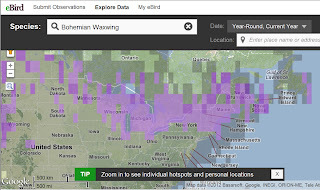 This map, via the Cornell Lab of Ornithology, helps to explain why Bohemian Waxwings are a BIG DEAL in Ohio and adjacent necks of the woods. They breed about 1,500 miles away, throughout the northern and western reaches of the great boreal forest. While the short northern summers bring a bounty of insects, and the waxwings certainly hawk for those, these birds are primarily frugivorous (fruit-eating). But not just any fruit – waxwings specialize on soft sugar-laden fruits such as those of mountain-ash, grapes, various members of the rose family, etc. Such fare tends to be ephemeral, not lasting long on the vine, so to speak. Thus, the waxwings must adopt a nomadic, or Bohemian, lifestyle in their constant quest for berries. Occasionally large-scale food shortages drive large numbers out of the core range and far to the south and east. And it is during such irruptions that we hope to find BoWax here in Ohio. On average, one or a few Bohemian Waxwings turn up in Ohio every three or four winters, if that. We used to see more of them. 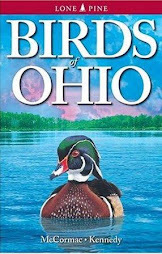 At the time of earliest ornithological records, in the early to mid 1800’s, Kirtland and others mentioned BoWax flocks as a seemingly fairly regular occurrence. 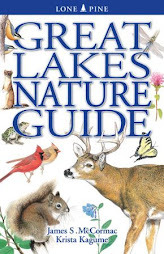 Even by the early 1900’s flocks were reported with some regularity, such as 75 in Lake County in January of 1920, which must have been a stunning sight. This winter is shaping up to be a good one for Bohemian Waxwings in this region, or at least good for birders who are seeking them. This eBird map shows, in purple, the extent of their eastward sweep. Keep a close eye out for waxwings and scrutinize flocks when you find them. Sometimes Bohemians get in with the Cedars and can be easy to overlook. Waxwings, of either species, are often drawn to ornamental fruit-bearing trees such as crabapples, hawthorns, and the like and thus the birds can appear even in very urban areas. Ace photographer Brian Zwiebel, who lives but a stone’s throw from Maumee Bay State Park, got to the waxwings in time to snap this stellar image, and I appreciate his allowing me to share it. Be sure to check out more of Brian’s work RIGHT HERE. Congrats to Andy Sewell, who was with the group of birders that first stumbled into the Maumee Bay waxwings and recognized them for what they were. He quickly got word out and as a result many a person added Bohemian Waxwing to their state and/or life lists. Fabulous, fabulous article in this great blog. Thanks so much Jim! 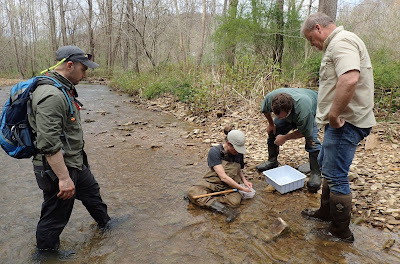 Great article Jim, I always learn something when I check out your blog. 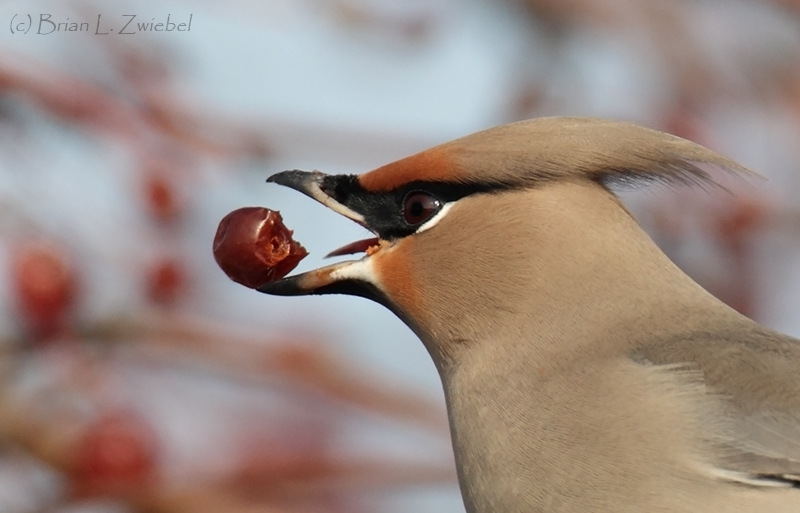 I wonder, do Bohemian Waxwings like grape jelly? Time to re-think my winter bird feeding strategy!! Thank you both for the feedback, and Brian, I really appreciate your allowing me to share your wonderful imagery, and ditto to Dane. 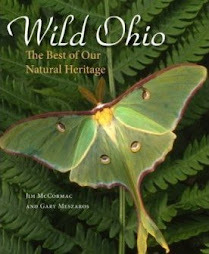 Ohio is fortunate to have some of the best nature photographers in the business, and that includes you guys! Wow...don't recall ever seeing a photo of a Japanese Waxwing. Beautiful. Behind Cedar Bog (in the field to the right just before Woodburn Rd. makes a sharp left) Sally and I came across a huge number of Cedar Waxwings!!!! They were incredible! Take a careful peek at such flocks to see if any BoWax are intermingled with the Cedars! And it's only fitting that Cedar Waxwings would be attracted to Cedar Bog, Becky! Thanks Jim. For this very useful and informative post. The cedar waxwings sweep through my yard when the mulberries are in fruit. I've never seen a Bohemian. Long-tailed Weasel caught on video! Caterpillars are fascinating - really!